shomi is using Smore newsletters to spread the word online. The Flag,National Sport and Clothing. The Flag of Pakistan was Designed and created on August 11 1947.The Green and White Colour Represents Prosperity And Peace,Also,Green Is The Traditional Colour Of Islam.The Crescent Represents Continuous Process.The Rayed-Five Star Represents Light And Wisdom.Finally The Crescent and Star Is The Global Islamic Mark Such As The One On Turkey's Flag. The National Sport of Pakistan. The National Sport of Pakistan is Field Hockey. 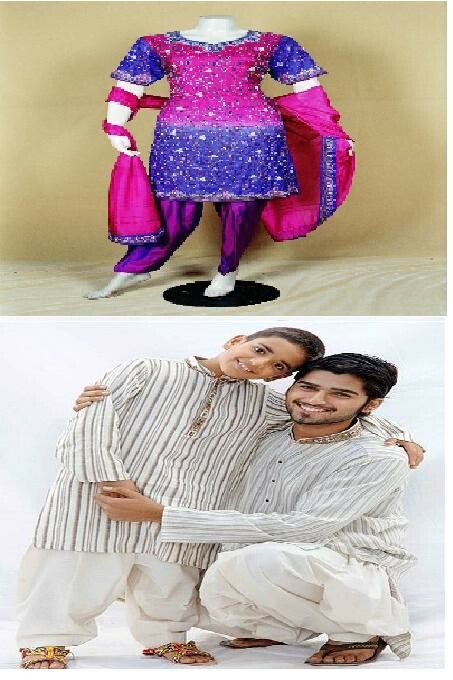 Pakistani women have variety of traditional dresses other than Shalwar Kameez but they mostly wear them on special occasions.Pakistani man and a child wearing shalwar kameez. The shalwar kameez is the national dress of Pakistan and is worn on some special occasions such as Eid. Some of The Pictures Above were about the Pakistani Culture. Characteristics Of The Pakistani Culture. The Pakistani Culture is mixed culture of old and new traditions. For More Information about Pakistani Culture Please see the information provided below.